Patrick McCue | Far Post Soccer Club, Inc.
Patrick McCue grew up in Williston, Vermont. McCue started playing for Far Post at the age of 8 and participated in the VT Olympic Development program as well. His Far Post team dominated Vermont soccer and went on to win the State Cup every year, even going undefeated and advancing at Regionals one year. They competed in the Region 1 League and traveled to top tournaments including the Jefferson Cup, Bethesda Premier Cup, and the Region 1 Championships. Patrick went on to be a captain at Champlain Valley Union High School and was named an All-State and All-New England player during his high school career. During his senior year was also named the MVP of the Vermont Twin-State All-Star team. 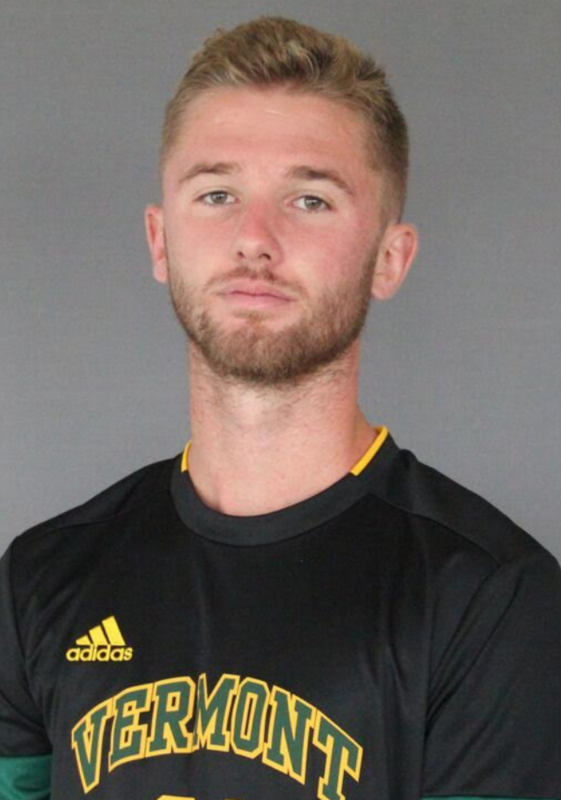 After graduating in the 2015, McCue went on to play Division 1 soccer at the University of Vermont. He is currently a defensive mid-fielder at UVM and will be going into his senior year this fall.